I have now finished four courses in my doctoral project and am loving it. It challenges (and at times, frustrates) me, but I can see the growth taking place and appreciate how it is pushing me to think even more broadly than before. My biggest concern about the doctoral program would be that it wouldn't be rigorous enough. That may sound a little silly, but there are a good deal of doctoral programs that are less than stellar and it was important to me to find one that would push me and this program definitely does that. I am so proud of this accomplishment. Besides struggling for two years to get under the two-hour mark, I thought this was likely a forsaken goal because I had ended up with a hip strain that had me out of running commission for most of July and much of August. This not only kept from running over the summer but from building up any speed. However, I bounced back from it and crushed my previous record (2:03) in a half-marathon I ran in September. I owe a debt of gratitude to my friend, Chuck, who was willing to go for some long runs and had the brilliant idea to run the course about a month before the race to get a full sense of what we were looking at. This in itself helped me mentally prepare for the race, which advertise itself as the flattest race in the series but had a large hill at the 10.5 mile mark and some inclines in the latter half of the race. I had hoped to do well, but I didn't think I would do this well. To the many, running under two hours isn't necessarily a huge feat but for me it best captures my journey on becoming a runner. 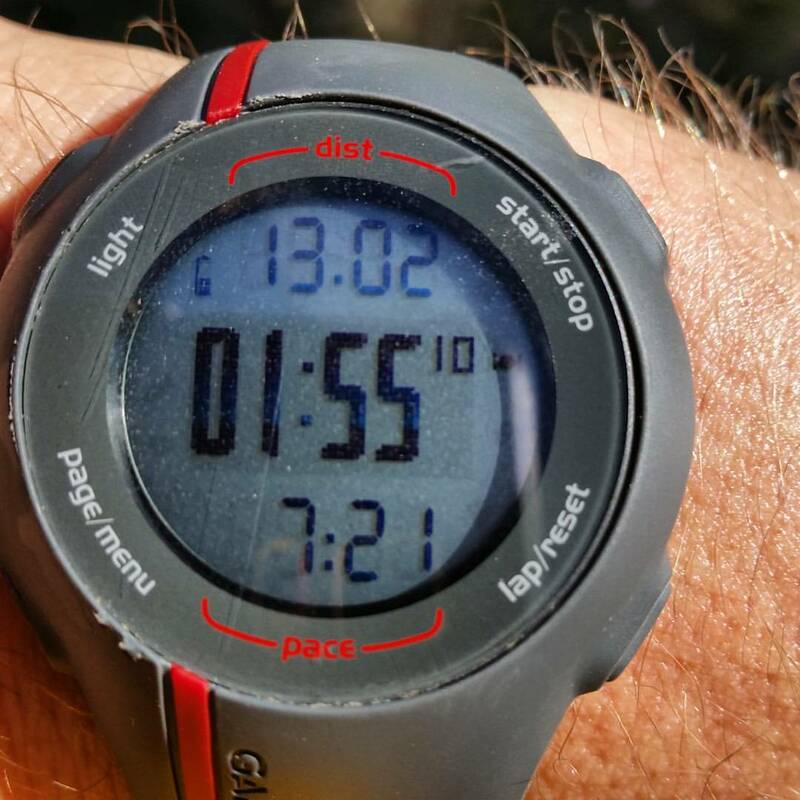 It means that I sustained under a 9-minute mile for 13 miles, even though I started in a place where I would run 13-15-minute miles. Overall, I was happy with my running this year, coming in just over 1270 miles for the year! I also achieved this milestone for the year, which I'm quite happy about. I started blogging without much direction but really just a platform to write miscellaneous things. In truth, it still serves that purpose pretty regularly. However, I've also found the blog as a meaningful way to think and reflect, either directly about my life or indirectly. It's also been a platform to help me further grow, whether through reading a book a day, reading and writing about short stories, or reflecting on photos that I've taken. Having published over 1000 posts isn't a great accomplishment in itself, but for me it shows me the dedication I have to writing and thinking; it's been clear to me how it has been useful in my day to day life to have this space where I share my thoughts (and people even occasionally respond to them). Finally, I'm impressed with the traffic. After several years of blogging, these last two years have showed an upward spike in traffic, averaging just under 10,000 visitors a month. It's not necessarily huge numbers when contrasted with major blogs, but that's a respectable number for someone just sharing his thoughts. Ok, I didn't hit every day. I came in just about 100 short (which could be conceived as essentially taking weekends off, right?). I'm fine with not meeting the letter of this goal. It was more of a guide-post and the bigger goal--to take more photographs, think about them, and write something about them was certainly achieved. I'm extending this to some degree for 2016 and doing an image of the week to explore. So besides my 10 Classic Tales of Horror that I published at the end of 2014, this one hasn't quite happened. But that's ok, I'm in progress with Teaching History with Comics and have an upcoming deadline, so I am hoping to make it happen for 2016. This one fell by the wayside after getting the summer injury. While I was able to build up for the half-marathon, trying to get up to full speed for a full marathon in the fall, just wasn't reasonable going to happen and it didn't. Again, this is a goal I'm fine with not meeting. My fall was filled with a many great things and I can just throw this on for next year's goals! I had hoped to read a physical book a week. That clearly didn't happen. I did pass the 220 books mark for 2015, which is always a great accomplishment, but that was a heavy mixture of audiobooks and graphic novels with a handful of books. Most of my textual reading focused on a lot of articles, which is of no surprise, given my pursuit of the PhD. So there they are--the hits and the misses. Regardless of the misses, I feel like it's been another strong year of growth and rising to interesting and exciting challenges. I'm looking forward to 2016! How was your 2015? What kind of goals and accomplishments did you achieve or find challenge with? What are you thinking about for 2016?